Riesling gets a bad rap--it really does. This is unfortunate when there are good examples out there in the marketplace at rock-bottom prices. Like cru beaujolais, riesling is not fashionable right now, despite the fact that both types of wine go beautifully with food, are low alcohol, and great value. The American wine drinker (especially) has become so used to oaky, big, ripe wines, that many find riesling and beaujolais wines "thin," "light" (which many are, but they're meant to be, so this isn't a flaw so much as a flavor difference), and "not interesting." If you would like to try out a riesling, and do so in a way that does justice to both it and to your dinner, order some Chinese or Thai takeout (we got Thai from Tongdang Thai Kitchen, our favorite local, for this experiment) and buy the 2005 Bonny Doon Pacific Rim Dry Riesling ($8.99, Trader Joe's). Stick the riesling in the fridge for 2 hours--not all day, or all week, since this blunts all the flavors when wine is served that cold. For more on serving temperatures, CellarNotes has a nice chart, as well as instructions on properly chilling wine. The 2005 Bonny Doon Pacific Rim Dry Riesling is, as its label suggests, a dry riesling. Rieslings come with many different levels of sweetness, as a brief article on wine.com explains. So if you've had syrupy sweet riesling and sworn off the stuff, then you're missing out on a world of great taste because not all rieslings are like that. In fact, one of the great things about this wine is that their aromatic floral fruitiness can give the impression of sweetness, when on the palate all you taste is bone dry citrus and minerals. At the high end rieslings are amazingly complex and can be cellared for decades, the flavors and aromas changing each year. At the budget end, they are refreshing and easy to drink. When Bonny Doon made this excellent QPR riesling, they blended grapes from Washington (75%) and the Mosel in Germany (25%) to produce a dry, Washington-style taste that retained the aromatic profiles of the riesling varietal characteristic of the Mosel. It had loads of citrus and herb aromas, with a touch of something floral. As you sipped this wine, there was a cascade of apples, grapefruit, and a touch of mint. And after you swallowed there was a nice crisp juiciness that made you want more. At 12% alc./vol. you could have some more, too! Like all Bonny Doon wines, the 2005 Pacific Rim has great labels--in fact it has 3 great labels. On the front of each is the Pacific Wine Maiden in her shell, but on the back, visible through the pale straw wine, are images of either garlic, cilantro and hot peppers, or sushi. Wondering what to serve your wine with? There are the cues, right on the bottle. Anything really light and clean-tasting like sushi that can get overwhelmed by most wine, or anything spicy that will clash with the tannins in many wines. We loved it with our Tongdang mango chicken ma muang, spicy beef with cashews, and basil shrimp and eggplant. Take a walk on the wild riesling side soon and if you know of other good value rieslings out there, post a comment here so we can enjoy them, too. If you are looking for a fantastic red wine to serve with beef or other hearty winter fare, look no further than the 2003 Chateau Coupe Roses Minervois Cuvee Vignals ($16.99). I first saw this wine at Fowler's in downtown Durham, NC, where I was immediately drawn to the label (sucker for anything that looks like an old woodblock print) and was told that everyone in the store was talking about the wine. Then, to my surprise, I found it at the Surf Super in downtown Gualala. Unless you are located on the Sonoma coast between Stewart's Point and Elk, you are not shopping at the Surf Super. If you live in New Jersey, however, or are willing to have wine shipped, you are in luck. Wine-Searcher reveals that quite a few of these beauties are still available for purchase, and for even less than the $16.99 I paid for this. 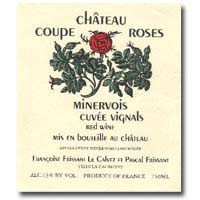 Chateau Coupe Roses is owned by Francoise and Pascal Frissant. Located in the Languedoc, where Occitan culture flourished in the Middle Ages, and religious heresies were stamped out by church crusades. This was Cathar country, for the historians out there. The wine produced in the Minervois AOC is 96% red. 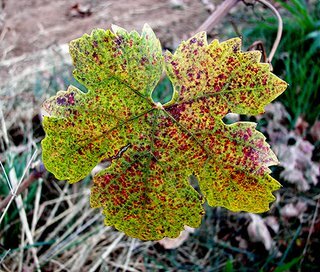 The Wine Doctor has a great piece on the wines of the Minervois region, for those who aren't familiar with it. At Chateau Coupe Roses, they produce both whites and reds, and on their website, they talk about the alchemy that occurs in their region where a mix of high altitude coolness, and Mediterranean sunshine, provides the climate for the growing grapes. This was a beautiful wine, from the moment the cork was pulled until the last unfiltered, unfined dregs settled in the empty glasses. Let me say right off the bat that if you close your eyes and don't read the label this smells and tastes like a fine Chauteauneuf du Pape from the Rhone. It is made of syrah, grenache, and old vine carignan. Dark, inky ruby in color, it had blackberry and sweet, heady aromas. Once you tasted it, there was more blackberry, and the briary garrigue notes characteristic of fine Mediterranean wine. Garrigue is an herbal, brushy flavor that is like no other flavor or aroma out there, but if you've been to the region and smelled the hot sun beat down on the scrub by the roads, you will recognize it. There was a long, spicy aftertaste and it still showed some tannins and grip around the edges. But in another year or so I imagine it will be perfectly integrated and even more luscious. At 13% alc./vol. it is proof that a wine doesn't need to be alcoholic and huge to deliver complex flavors. We had this excellent wine with a ragu alla bolognese from an old copy of Cooking Light. A mixture of ground pork, veal, and beef were simmered with the classic bolognese vegetables (onion, celery, and carrots) for a long time, before some tomatoes and milk are added. It is somehow less oppressively tomatoey than a normal tomato-based meat ragu, and has a greater depth of flavor from the slow cooking with the vegetables. Perfect with this rich, flavorful wine from the Languedoc. Only 600 cases of the 2003 Chateau Coupe Roses Minervois Cuvee Vignals were imported to the US, so run out and get some or order some on line if you possibly can. This wine represented excellent QPR, and was better than wines I've had that were twice or three times the price. Foods that warm up the house and everyone in it are highly desirable on the Sonoma Coast in November. Stews, things baked in the oven, roasts--all fit the bill perfectly. We decided on a beef stew with a twist for dinner, an unusual Singapore-influenced curried beef stew from Cooking Light. It starts with an aromatic paste made of green onions, orange juice, ginger, jalapenos, and other sweet and spicy ingredients. After long, slow simmering the beef, mushrooms, sweet potatoes, celery, and carrots are tender, the whole house smells delicious, and you're sitting down to a perfect early winter meal. What to serve with it? I love shiraz or syrah wines with stews, and even though this had some oriental influences to it, I felt that the opulent fruitiness of an Australian shiraz would be perfect. We opened the 2003 Kangarilla Road Shiraz to go with dinner ($14.99, Costco). It is still widely available throughout the country, based on my internet search. I purchased this wine in March and it's been stashed away in our cool, dark windowseats ever since. Unfortunately, this wasn't the right shiraz for this meal. It looked like a shiraz--deep inky purple--and even smelled like a shiraz with blackberry and earthy aromas but it drank like a grenache. This is an austere red, and on the mouth there are tastes of dusty and brambly black fruits, spice, and smoke. There is a real pucker of tannins in the finish, but I wasn't convinced that this would become smoother or rounder over time. Instead, I think it is what it is--and what it's likely to become. This wine would be much better with grilled meats or even barbeque than with a stew. I don't think it would do well with tomato-based dishes, either, which is often a good match for syrah/shiraz wines. Because the varietal characteristics were a bit skewed on this wine, and given its cost, this gets a rating of good QPR. If you like grenache, however, and find shiraz too fruity for your tastes, this would be a good option for you. Following on the heels of my introduction to ice wine, courtesy of Kitchen Chick's excellent November theme for Wine Blogging Wednesday #28 (you can read the round-up and tasting notes here), I saw the 2004 Rudolf Muller Riesling Eiswein ($18.99/375 ml) in the supermarket up here on the coast and we decided to give it a try. This was a pleasant riesling eiswein. Made from grapes grown in the Pfalz region, it is golden in color, with an initial whiff of petroleum on first opening. This is characteristic of many German rieslings and does not indicate there is something wrong, but it may be off-putting to some. It was not as aromatic as it was flavorful, with apple, honey, white nectarine, and a touch of coconut flavors. I think that this wine would be better with food, especially a blue cheese, or a huntsman cheese and crackers. The manufacturer also suggested the wine would go well with fruit tarts. As always, you'd want to be sure that ice wine was slightly sweeter than the fruit tart since the acid in the wine will make it seem crisper and less sweet once it's next to a sugary dessert. Now that I've had two ice wines, I must say I preferred the vidal-based icewine I had earlier this month. I felt this wine, while pleasant and good QPR, tasted much like a sweet, syrupy riesling. The vidal ice wine, on the other hand, tasted like nothing else I've ever had before, and had great complexity. If you love rieslings, though, you may prefer this wine, with its familiar flavor palate. And this 2004 Rudolf Muller Riesling Eiswein would definitely be much easier to pair with food. My ice wine knowledge is still a work in progress, and I will be continuing to seek out and explore these luscious dessert wines. There are definitely other riesling ice wines out there, and I look forward to tasting them in the upcoming months. Over at the Wine Spectator, the wine magazine with the largest circulation in the world, they've just published their Top 100 Wines of 2006 list this week. It's always a one-two punch for me: the release of the juicy, low-cost Beaujolais Nouveau on the third Thursday, followed shortly thereafter by the list of wines I can't find and can't afford. Even though I try not to be influenced by these annual top wines list, like most serious wine lovers I find it impossible to avoid them. So rather than sticking my head in the sand I thought I'd face the list and see what it offered. PS. As I caught up on my wine blogging reading, I discovered that Winehiker and Tom Wark over at Fermentation have both posted some pretty hair-raising stories about the impact this little list has on the world of wine consumption and production. Really makes you pause and reconsider how we run around like crazy people after some wines and not others based on media attention. Maybe the world of beaujolais nouveau and the world of the Top 100 aren't that different?? The 2006 list seemed pleasantly different to me than those of past years. 30 of the top 100 wines were $25 or under--nearly 1/3. I haven't done the math on the last 5 years' list, but my sense was that this year there were more options for those of us who put ourselves on stricter wine budgets, and fewer bottles retailing for over $100. While the average price for a bottle on the list was $49 (up from $43 last year), many of the more budget friendly wines this year are not limited production bottlings, but wines that are readily available from makers like Kim Crawford, Jacob's Creek, and Greg Norman. The highest ranking bottle under $25 came in at #16, and was the 2004 Langmeil Shiraz Barossa Valley Valley Floor. ($23) I got a lot of hits for this wine when I searched for it, suggesting you can still get your hands on it. The next budget friendly selection was at #36, the 2004 Hess Collection Napa Valley Chardonnay ($20). You have to shop carefully for this wine, since Hess has both "Selection" and "Collection" labels, but it was available in lots of outlets for $18.99). Other budget-friendly highlights included the 2005 Matua Sauvignon Blanc Paretai Estate Series ($17) at #37, the 2006 Kim Crawford Sauvignon Blanc ($17) at #40, the 2004 Chateau Ste. Michelle Canoe Ridge Estate Chardonnay ($20) at #62, and the 2003 Jacob's Creek Shiraz South Australia Reserve ($13) at #64. I even discovered I owned two of the top 100 wines: the 2005 Elk Cove Pinot Gris Willamette Valley ($18) at #77, and the 2003 Ch. 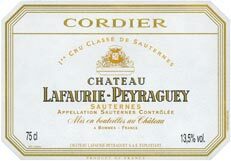 Lafaurie-Peyraguey Sauternes ($43/750 ml) at #6. I bought this sauternes last month at Beverages and More in the half bottle size for $23.99. So if you're out shopping on Black Friday, and pass a BevMo, you might want to see if they've got some bottles on the shelf to put away until Thanksgiving 2010 and beyond. These are just the highlights, so do go over and check out the whole list, paying particular attention the wines from #50-#100, where most of the under $25 wines can be found. Even if you don't subscribe to the magazine or the online site, you can download the whole list in PDF by clicking here. As many of you know, I live in the LA area and regularly post reviews of wine stores and tasting bars. There are new options opening all the time, and it's helpful to get the suggestions of other wine lovers before you schlep over on 5 different freeways only to discover that the shop you are trying out only has Napa cult cabs. Dr. Vino has just posted an interactive map of LA area wine stores for your shopping pleasure and driving ease. It's got great range from the west side all the way over to Pasadena and beyond. All my favorites were on it (I'm guessing yours are, too) and some new shops that I'm looking forward to checking out. Dr. Vino is based in NYC, and his LA map is the latest addition to maps for wine lovers covering NYC wine shops, NYC Wine Bars, Chicago wine shops, and Chicago BYOB restaurants. Dr. Vino is also one of the web's best wine bloggers, so if you haven't done so already, swing by his site and take a look. We're up on the Sonoma Coast for Thanksgiving week--which is reason enough to give lots of thanks this year! After safely transporting two dogs and four humans into a cabin in the redwoods near the sea, it was time to flip open the windowseats and see what we'd stashed in them over the summer and forgotten we had. Our windowseat storage area has nearly perfect cellar conditions--dark, about 57 degrees and 68-70 percent humidity--and it's where we put wine that isn't quite ready to drink. It's grey and rainy up here, and as soon as I saw the sunny Pomelo label, I knew this was the wine to go with our citrus chicken tagine with couscous. With a fire roaring in the woodstove, the dogs passed out, and the chicken bubbling away in its lemon and orange liquid, we unscrewed the cap and started celebrating the holiday week. This sauvignon blanc is a bottling of Mason Cellars from their Kelseyville Vineyards in Lake County, CA. Mason Cellars are a family owned and operated company, and they produce merlot, sauvignon blanc, and cabernet sauvignon. 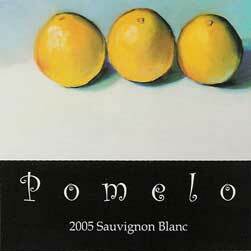 Their Pomelo Sauvignon Blanc is named after a large citrus fruit that is ancestor of the more common grapefruit, and that citrusy flavor profile is expressed in this wine. The 2005 Pomelo Sauvignon Blanc ($8.39, Surf Supermarket in downtown Gualala; available all over for around $10) is a light and refreshing sauvignon blanc with loads of grapefruit aromas and flavors. With an impression of sweetness, and a touch of bright lime to give it some zing, it is not at all harsh or acidic. This is my third bottle, and two of them had a little bit of spritz to them. This third bottle did not. This sauvignon blanc is a tasty wine with very good QPR. A bit one dimensional, with its dominant citrus varietal characteristics it will be a great favorite among those who prefer their sauvignon blancs citrusy rather than herbal or grassy. This wine is not subjected to any oak, so is free of any smoke or vanilla processing flavors. It pairs well with a wide variety of chicken and seafood dishes, especially piccata and scampi or grilled fare. Kitchen Chick rounded up all the wine tasting notes on ice wines from WBW#27. They can be found by clicking here, and then following all the links. There are lots of notes, all fun to read and informative, for these delicious dessert wines. The success of this WBW is a testament to Kitchen Chick's great theme. I know I learned a lot from the tasting, and from seeing what others tasted. Thanks again to Kitchen Chick, and don't forget: Wine Blogging Wednesday #28 returns on December 13 with Sparklers, hosted by Seattle's Culinary Fool. It's the third Thursday in November. That's right, it's Beaujolais Nouveau day. Mom and Dad were arriving at LAX, providing me with the perfect opportunity to stop by the Wine House and to pick up some Beaujolais Nouveau so that we, along with many other people all over the world, could join in the fun of this harvest celebration. Now, I love all the wines of Beaujolais, including the Nouveau wines. The latter are perfect for served slightly chilled with (among other things) Thanksgiving leftovers. The crus are lovely, low-alcohol reds that are fruity, uncomplicated, and excellent value. Earlier this fall I reviewed a cru beaujolais, a 2005 from Pierre-Marie Chermette (see my earlier post). Cru beaujolais are aged wines, which come from specific sub-appellations within Beaujolais. Beau over at Basic Juice posted a great story yesterday about the area which I encourage you to read if you are only familiar with Beaujolais Nouveau. He's right that people drink the Nouveau wines and think that all Beaujolais tastes like this--which is a shame. The 2006 vintage is being hailed s the best since 2003--which was very good and produced cru Beaujolais wines that had staying power. You could keep those wines for a few years and they tasted like baby Burgundies--all silk and raspberry. Most Beaujolais wines (and certainly the Nouveau wines) are made to be drunk within a few months to a year. My dad is fond of saying "Beaujolais Nouveau should age on the back seat on your way home." But keep in mind that it's worth talking to your wine dealer and doing some research to discover if the cru Beaujolais you've bought is likely to last if you store it properly. Older cru beaujolais (like the 2002 Georges Duboeuf Fleurie that was in my Thanksgiving recommendations) can be suprisingly complex for gamay wines. So why drink Beaujolais Nouveau? For me its about participating in a wine ritual of harvest and early sampling of young wines that is not part of most people's lives. I read about Bordeaux barrel tastings in the wine mags, but hey, I'm not likely to go to participate in such an event any time soon. But I can go to my local wine store and buy some young Beaujolais wine. And this is, in my opinion, the real reason to drink Beaujolais Nouveau. They are not great wines--but sometimes they contain hints of the great cru Beaujolais wines that will be released in a few months. Once every year ordinary joes and janes get a glimpse into the process of wine-making. They get to taste young, unfocused wines and try to imagine what some of the grapes will become. Wine #1 turned out to be the 2006 Joseph Drouhin Beaujolais Nouveau ($13.99, The Wine House). This was the least favorite among the three we tasted. It was very aromatic, with bananas, raspberry preserves, and a metallic, tinned tomato-paste smell. The flavors were smooth raspberry with an underlying meaty depth and a slight banana extract edge. This was a smooth, moderately flavorful wine despite all the aromas that had preceded it. Given its price, and the fact that you can get cru Beaujolais for less money, I decided this was poor QPR. Wine #2 turned out to be the 2006 Georges Duboeuf Beaujolais Nouveau ($9.59, The Wine House). This was the favorite for two of us. There was much less aroma then in the Drouhin, and what was there was raspberry and spice. On the palate this wine had more freshness and even some soft tannins, with silky strawberry and nutmeg flavors. Again, given that you can get more complex cru Beaujolais wines for about the same price, I decided this was good QPR. Wine #3 turned out to be the 2006 Georges Duboeuf Beaujolais-Villages Nouveau Chateau des Vierres ($9.99, The Wine House). One of the drinkers thought this was the best wine (and I admit I had really looked forward to this wine because it had a chateau designation). It was similar to the regular Duboeuf BN with moderate aromas of raspberry, but in this case there was an undertone of rare beef. This one had the most acidity, but less tannins, and flavors of banana, strawberry, spice, and even a hint of citrus or green grapes. I will look for this wine when it is released as a cru Beaujolais because I think it may be excellent with some age. For now, it's good QPR. Because the wines of Beaujolais are not fashionable at the moment--undeservedly so, in my opinion--you can get most cru Beaujolais for about the same price as Beaujolais Nouveau. But there is no media hype when the crus are released. They simply slip onto the shelves of your wine store, overlooked by most people as they head for the merlots. Beaujolais shouldn't just be on the table on the third Thursday of November. Drink your Nouveau now, but don't forget about the wines of Beaujolais next spring and summer. On my way to pick up the parents at LAX, I was running early (what? in LA?) and so had time to stop at The Wine House, tucked in next to the 405 just north of Pico Blvd. on the west side of town, among the car autobody shops and some dog grooming establishments. This was my first time at the Wine House, but it definitely won't be my last. It is a large, open store with racks upon racks and boxes upon boxes of wine--and not the wine you see everywhere else. I spotted an excellent selection of Spanish and German wines, so many Italian wines they were divided into regions, and a whole back section of Burgundy, Bordeaux, and yes, Beaujolais wines. This was in addition to a wide range of US wines from California and Oregon, a good selection of spirits, and a small (but choice) area of the store dedicated to gourmet nibbles. Upstairs is a wine bar, which I didn't get to try out because of time constraints. But I'd love to hear from anyone who's been up there. The Wine House clearly prides itself on its expertise and friendly, approachable staff, and with good reason. The shelf-talkers were excellent, independent, and informative. There were staff all over, and you never had to go far if you had a question. The Wine House also offers wine classes which run for around 2 hours in the evenings (rooftop guarded parking provided). 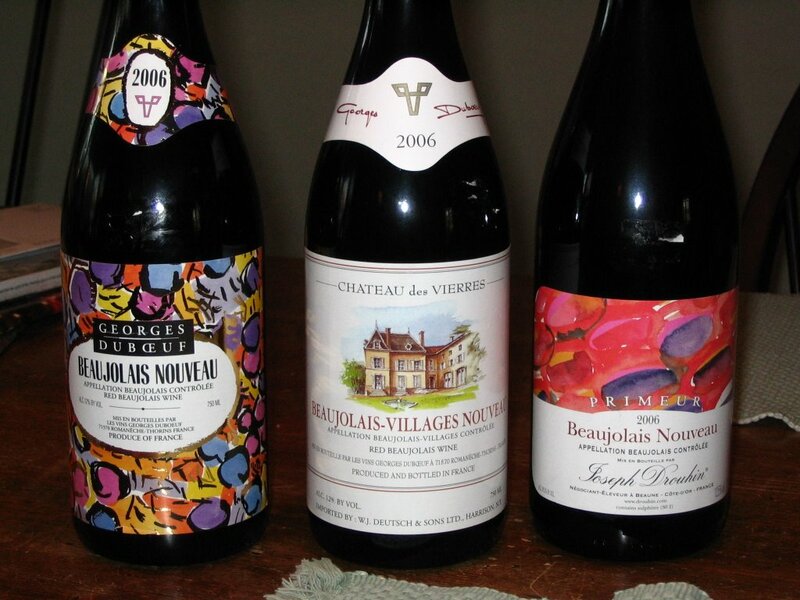 Since it is the third Thursday in November I was there for a bottle of beaujolais nouveau. They had three options, all prominently displayed by the front register. I left with one of each, of course, since I lose all willpower in wine stores: the 2006 Georges Duboeuf Beaujolais Nouveau ($9.59), the 2006 Georges Duboeuf Beaujolais-Villages Nouveau Chateau des Vierres ($9.99), and the 2006 Joseph Drouhin Beaujolais Nouveau ($13.99). Tasting notes to follow tomorrow. 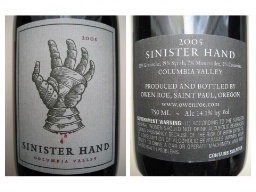 As I wandered around I saw a 2005 Owen Roe Sinister Hand ($23.99) and threw that in as well! Don't be afraid to venture out and visit this improbable location next time you're on your way to LAX to pick someone up at the airport. LAX is only 15 minutes away (estimated non rush hour time), and wouldn't you rather buy wine than drive around the airport in circles waiting for your friends and family to land?? Tonight I had a friend coming by to strategize something for work, and then dinner to think about. I decided to pop this bottle of wine in the fridge and take my chances. It's a Rosemount Estate wine that I've never had (don't drink much of their wine in the normal course of things) which I found tucked into the pallets at Costco some weeks back. And, as you know, I'm not a huge chardonnay fan. Still, most people are, so this was the choice. Rosemount Estate has a huge presence in the supermarkets of LA, and while some of their wine is fine, I find a lot of it doesn't have gobs of varietal characteristics--my own personal way of wandering through the world of wine. For those of you not familiar with the specific characteristics of different grape varieties, I'd suggest a click over to the Professional Friends of Wine site to see their informative chart. They sort out flavors that are in the grape, versus processing flavors, and it can help you to understand (in part) the mysteries of wine scoring since (like judging dogs at the Westminster Dog Show) the best wine ratings should be based on some kind of standard. This is not objective, but there is still a method in some of the madness. Judging a wine's quality should hinge on some combination of a wine's display of varietal characteristics and local, or terroir, characteristics--or at least that's what I was taught. This is also how people succeed at identifying wines they drink blind--they know the varietal characteristics so well that they can sort out red currant from red raspberry and know whether a wine is a pinot or not. The grapes for the 2002 Rosemount Estate Chardonnay Orange Vineyard (Costco, $7.99) are grown in a highland vineyard outside of Sydney with volcanic soils and cool-climate growing conditions. When I first opened the bottle, I thought: rut-ro. There was a definite whiff of oak, which is not quite what I expected. The back label revealed that I had apparently blanked out on the fact that the wine was aged in French new oak for a number of months! As the wine warmed up slighlty the strong oak smell blew off and it became more appealing. It is pale gold in color, with a nutty, citrusy aroma. When you taste this wine you are aware first of citrus, then a taste that reminded me of figs, then a nutty edge at the end like cashews. These are all good varietal characteristics of a lightly oaked chardonnay. This wine was much better with food than solo, and for that I turned to tuna. What to eat in the week leading up to Thanksgiving is always a bit of a puzzle. 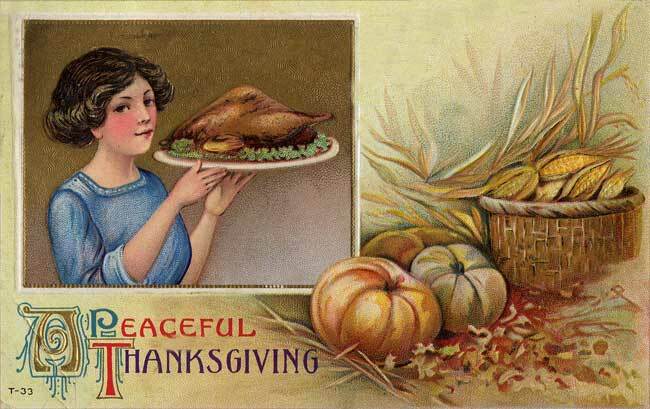 I find that the mere thought of that turkey and the pounds of leftovers makes me downright reluctant to eat poultry. And, with Mom and Dad coming to town there will be more good food than ever at the house, not to mention more wine consumed, so all in all a good reason to trim some calories whenever you can. So we had a scrumptious grilled tuna with green goddess aioli from the September 2006 issue of Cooking Light magazine. The 2002 Rosemount Chardonnay was excellent with this meal, especially with the green goddess aioli. It was just the right body for the food--medium in weight and texture. There is a new 2003 vintage of this wine in the stores, as well as the 2002 vintage. I discovered the price on the 2002 has increased substantially from what I paid for it at Costco in most retail stores and online vendors where it is going for between $10 and $15. At either the low price I paid or the higher price it seems to be going for in most stores, chardonnay lovers who like a bit of round oakiness in their wine, this represents very good QPR. Hard to find a chardonnay under $20 that doesn't taste artificial and overblown, but this one delivers citrus and nutty flavors that are in nice balance with each other. Rosemount suggests you could cellar this wine until 2010--maybe a bit optimistic but I do agree that this wine has the potential to hang around and get even more mellow and integrated over the next 2-4 years. 2004 Preston of Dry Creek "L. Preston"
After several days of blistering Indian Summer, it's starting to feel like fall again. I wanted something that fit this transition--robust in spices but grilled, heavy on the vegetables flooding into our local farmer's market, but substantial and rich. I found just what I was looking for in a clipping from the September 2006 Sunset magazine: flank steak with warm Moroccan spices, accompanied by a grilled eggplant and pepper salad. When I read the recipes, I realized that they were actually part of a feature on pairing wine with food. The wine the editors suggested was a syrah, but looking into my wine rack I saw something I thought would work even better: a syrah-based California red blended as a homage to Rhone varietals. The 2004 Preston of Dry Creek "L. Preston" (Chronicle Wine Cellar, $17.95) is a plush, velvety, Rhone-style blend of syrah, mourvedre, carignane, and cinsault. While US wines tend to use a single varietal, blending reds and whites is a long-standing tradition in Europe. Some of the world's best-known wines are in fact blends, including most red wines from Bordeaux and the Rhone. No matter where blends are made, they often represent excellent value, since blending grapes enables the wine-maker to make the most appealing and rich wine possible with a palate of varietal flavors and aromas. If you aren't familiar with Preston of Dry Creek, they have a great website that describes the farm and vineyard, and the family's wine making philosophy. Preston of Dry Creek are organic wine makers, and they use what they describe as "minimalist" methods. Keep your eye out for their wines. I had a glass of wine while I was finishing with dinner, and it was just delicious. Deep raspberry in color with scents of spicy red fruits and dark chocolate made you want to dive in and paddle around. More dark chocolate, red raspberries, blueberries, spice, and black pepper swirled around in the flavors, providing a long, luscious finish that sent you straight back to the glass for another sip, and then another. This wine had fully integrated tannins, but was still robust enough to stand up to the spices I was using. Once we sat down to eat, the wine was just as good with the food as it had been on its own. This was a classy California Rhone-style blend, that represented very good QPR. Why is such an excellent wine only very good in the QPR department? Simply because most domestic and imported Rhone blends are typically available at a lower price point than this one. Still, I will be buying more! Seattle' s own Culinary Fool is hosting next month's Wine Blogging Wednesday. The theme she's picked is "Sparklers," perfect for the upcoming December and January festivities. On December 13, wine bloggers all over the web will pop their corks and post their reactions to all kinds of sparkling wines. The only sparklers that are off limits are Champagne (Sam over at Becks 'n' Posh did those a few months ago, click here for the informative round-up). Culinary Fool has even asked us to tag our wines as "Party Sparklers" (budget-friendly sparkling wines that you could serve at parties without embarassment! ), "Special Sparklers" (sparklers that cost more but are nice for splurges on special occasions), and even "Duds." So there should be lots of good suggestions for those of us looking for guidance on which sparkling wines to pick in the under $20 bracket. For more details in case you want to participate, check out her full brief. 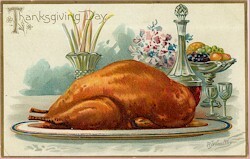 Culinary Fool hopes to post the round-up around December 15 in plenty of time for all those toasts. I've had all of these wines sometime during the past year, and kept tasting notes for them (long before I started blogging here) so I've checked to make sure that those listed are still available. I broke the recommendations into three categories (whites, reds, and sparkling wines) and indicated a general price range so you can figure out which are best for your budget. The range is based on prices I found on Wine-Searcher. Of course, prices in your area may be different from those indicated here. 2004 Hugel et Fils Gentil ($5-$10): A very good gewurztraminer with crisp apple notes and a sweet impression. Pale straw in color, with appealing apple and floral aromas. Will be excellent with a traditional meal, or with a meal where there are spicy side-dishes. 2005 Kim Crawford Sauvignon Blanc ($10-15): Pale, almost translucent in color, with grass, melon, and grapefuit on the palate. Not as fragrant as some sauvignon blancs, it is still more complex and interesting than most at this price point. Zingy enough to cut through the heavy foods, but not at all acidic. 2004 Voss Sauvignon Blanc ($10-$15): A nice sauvignon blanc, if a bit one dimensional, with predominantly pink grapefruit aromas and palate. This wine has a little bit of herbal freshness, so will go well with meals that use traditional spices (thyme, parsley, sage). Clean and crisp. 2004 Sollner Danubio Gruner Veltliner ($10-$15): For a full tasting note, see my earlier post. 2004 Dry Creek Vineyard Dry Chenin Blanc ($10-$15): Pale straw color, lemony upfront then a sweet undertone that keeps it brisk and fresh. Would be particularly good with spicier sides and smoked turkey. 2003 Rutherford Hill Chardonnay ($15-$20): Pale straw color, with a very faint aroma of lemons and pears. On the palate, citrus and mineral notes with a tiny bit of butter around the edges. Crisp, clean chardonnay with no bitter or oaky flavors to cause problems with all those flavors on the table. 2004 Sineann Pinot Gris ($15-$20): Delicious. Like biting into a golden delicious apple, tart and sweet at the same time. Appley rather than lemony, it's not entirely characteristic of the varietal but it works. No bitter edges, so its easy to pair with a wide range of foods. 2002 Georges Duboeuf Fleurie ($10-$15): Extremely good beaujolais wine. Light and fruity red, with raspberries and some depth as a result of the bottle age. Most gamay wines are for drinking straight away, but this one has staying power due to the excellent vintage. Perfect for roasted turkey, dark meat turkey, mushroom dishes, and robust holiday foods. 2004 Castle Rock Pinot Noir Monterey ($10-$15): Richer and more nuanced than most pinots at this price point, this ruby wine had earthy and berry flavors and a good finish that was spicy and drew you back for more. 2005 Mark West Pinot Noir Central Coast ($10-$15): This was a juicy, fruity pinot noir. When you first open it, the aroma can be hot and alcoholic, so open it before the meal and let those aromas blow off. After 20 minutes or so, it will smell like red raspberry with a tiny bit of underlying red currant. Crushed raspberry in color, the wine's palate was silky and raspberry as well. A bit of meatiness in the finish made it linger. Not as spicy and rich as the Castle Rock described above. 2005 Pierre-Marie Chermette Beaujolais ($10-$15): For a full tasting note, see my earlier post. NV Lazy Creek Vineyards Red Table Wine ($20): 100% pinot noir grapes, blended from a number of vintages to yield a rich and flavorful pinot noir. Loads of red fruit and a little bit of earthy funkiness in the aromas. It's a little less silky than the very best pinots, but an excellent drinking wine to go with a wide variety of foods. NV Cavit Lunetta Prosecco ($10-$15): For a full tasting note, see my earlier post. This wine would be good with any course, from hors d'oeuvres through to dessert. NV Santa Margherita Prosecco Brut ($15-$20): A bright, crisp prosecco. Not at all harsh or bitter, this is appley and lemony. Would be best with hors d'oeuvres or the main course. Surprisingly rich and complex for a prosecco. NV Domaine Chandon Extra-Dry Riche ($15-$20): For a full tasting note, see my earlier post. Would be best with hors d'oeuvres, dinners that use lots of spice, and dessert as it has a definitely sweet impression on the aromas, even though it drinks dry. NV Piper-Hiedsieck Brut ($20-$25): Light, lemony, and crisp with medium bead and a bright finish. Best with the main course, since it's a robust champagne. It's two weeks until Thanksgiving, and we will soon be inundated with hundreds of tips in every magazine, newspaper, and television show from the daily news to the Food Network on what to serve with this all important holiday meal. I can't resist entering the scrum. What follows are my general observations about what works and what doesn't for the big day, drawn together to hopefully induce a sense of calm anticipation rather than frenetic worry. Early next week I'll be back with some specific bottle recommendations pulled from a year's worth of tasting notes, all checked to make sure they are still available for purchase. 1. Fruit-forward wines are your friend. Our abundant holiday tables are a challenge in wine and food pairing terms, but if you are asking what wine goes with turkey you are asking the wrong question, as Ray Isle explains in his excellent article in Food & Wine this month. This is the most sensible thing I've read yet on Thanksgiving food and wine issues. 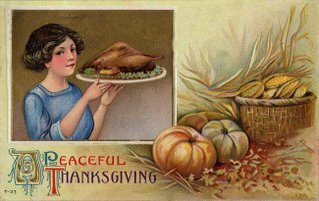 He points out that turkey goes with pretty much anything--it's the sides you have to worry about. So many conflicting flavors and textures (sweet, salty, tart, gamey, creamy, it goes on and on) means that grass, vegetal, oak, mineral, and spice flavors have to be considered carefully with respect to your menu decisions. And then there's your brother-in-law's jalapeno and cornbread stuffing! The easiest way to steer around these potential pitfalls is to focus on wines that are fruit-forward. Look for tasting notes and/or labels that mention specific fruits at the beginning. When in doubt, go with unoaked sauvignon blanc that is not grassy but citrusy or with a fruit-forward wine made with pinot noir grapes. And, you can always serve one white and one red (see warning below, #3, regarding more than 2 different wines with the main course). 2. Unless you are serving genuine wine enthusiasts, now is not the time to pull out the premier crus. There are a couple of good reasons for this. First, the food is supposed to be the star at this meal, and if you serve your most expensive bottle of wine to Aunt Tilly only to have her coo instead over the pattern the marshmallows have made on the yams the entire evening is likely to devolve into a wine seminar with you lecturing down the table on the finer points of Burgundy. Of course, if you can simply plunk the premier cru down on the table like it's a box wine and let it go, then more power to you (and I'm coming to your house for dinner). Second, many of us will be having 8-12 for dinner, and will want to have multiple bottles on hand for guests. Finding good quality, interesting wine at a reasonable price is all the more important since it is likely to make you, and therefore your guests, feel at ease. No one needs to bankrupt themselves for Thanksgiving wine. 3. Only serve six different wines with the main course if you are having a buffet or have announced that this year Thanksgiving will have a "Tasting Dinner" theme. While it does demand some pre-planning, putting two or three identical bottles of wine down the center of the table screams abundance and plenty to me. If you just pull out 3 miscellaneous whites that have been cluttering up your wine rack for the last few months and hope for the best, there will be unpleasant results as friends and relatives start topping up glasses mixing the German riesling with the Napa chardonnay. If you are having a buffet, however, you can put out what you like, but I recommend pulling all the corks in advance so people can (in true buffet style) browse the offerings and drink what they want rather than settling for the sauvignon blanc because that's the wine that's open. Don't know how much wine to buy for dinner and/or cocktails? That's the Spirit! gives some advice on how much wine you will need per person. And don't be afraid of half-drunk bottles of wine or unopened bottles. Remember, there will be leftovers, it's soup season and wine is great for enriching soups, and you can always keep unopened wine for the next round of holiday parties. 4. High alcohol wines and holidays do not mix. For this reason I don't serve Zinfandels at Thanksgiving (despite the many recommendations for this wine) unless I can find one at well under 14% alc./vol. We should be aware of alcohol levels year round, but I think it is crucial at this time of year. This goes double if you are a generous host (and I know you are) and like to top off glasses and serve wine from the moment people arrive to the instant their feet cross the threshold on the way out the door. This goes triple if your guests are driving home. Read the fine print on your bottles, find the alcohol content on the label, and remember that the higher the alcohol content the trickier it can be to match it with food. Zinfandels are classically fruit-forward wines, but they are also heavy and full-bodied which can overwhelm the turkey (unless its smoked or deep fried), drown the creamed onions, and engulf the mashed potatoes. If you are serving different wines with different courses, try to balance out higher alcohol offerings with moderate and lower alcohol selections. In addition to choosing your wines carefully with respect to alcohol levels, don't forget to have a nice selection of imported non-alcohol beers, fancy bottled waters, and sparkling non-alcoholic ciders on hand for those who choose not to drink. 5. If a guest brings wine to Thanksgiving dinner unexpectedly, you don't have to serve it unless you really want to. I once attended a dinner party where the host burst into tears because, on the heels of several culinary disasters, someone brought wine and then immediately asked for a corkscrew. The host had labored for the best part of two weeks over the shopping, the menu, and the pairings of every course with a different wine. They did not want their guest's favorite merlot inserted into the mix--but they didn't know what to do, and tensions were running high. Remember: it's a gift. All you are required to do is express your thanks. One way to deal with a guest eager to have their wine served is to say brightly that you are going to put this out on the bar to go with the hors d'ouevres. Another tactic involves staring at the label with rapt attention for ten seconds, devouring every detail of the label, and then saying "Wow! I'm going to put this aside for our dinner on Sunday when I can really appreciate it. Thank you so much!" Not much they can say then! If you are a guest and want to take wine to your hosts, then either buy a wine gift bag and put the bottle in it (this means the host knows this is a gift, and not necessarily meant to be served right away) or hand it over unadorned saying something like "here's a bottle of red for you to enjoy once we've all gone home." Check your menus, paying particular attention to your side dishes. Check your closets, cellars, and wine racks for bottles that are ready to drink--especially look for the unopened bottle of champagne in the back of the fridge--but not over the hill. Figure out how many different wines you want to serve (cocktail hour? with the first course? with the main dishes? with dessert? ), and think back over some of the fruit-forward wines you've enjoyed over the last few months. Calculate the number of bottles you need and then forge bravely on to the wine store or the supermarket before the shelves are depleted. Uncertain? Go with citrusy sauvignon blanc and/or berryish pinot noir. Still confused? Check back here for some specific recommendations with tasting notes that might help you decide on which wine you want to serve. And if you have a particular recommendation for a wine that's worked well for your holiday meals, feel free to leave a comment here. Kitchen Chick set icewines as the theme for this month's wine blogging Wednesday, and it's a perfect time of year to get to know these special dessert wines. Long autumn and winter evenings are just right for sipping your way through one of these beauties. I've only ever had one ice wine before, the Sineann Sweet Sydney Zinfandel icewine, which is not entirely characteristic of the type, most of which are made from white varietals. So Kitchen Chick's brief gave me a chance to go out and try to find a budget-friendly ice wine that is readily available. The one I settled on was the 2004 Jackson-Triggs Vidal Icewine Proprietors' Reserve ($21.99/187 ml, Beverages and More) from Ontario. Just a smidge over my usual $20 ceiling, but I am so glad I parted with that $1.99. A little internet research proves that it's widely available online, and at an even better price, so it's worth checking your local merchant. Icewines are made under strictly controlled conditions. In Canada, where the Jackson-Triggs wine is produced, grapes must be picked by hand after temperatures reach a hard frost of at least 17 degrees F. The rock-hard grapes are crushed while still frozen, producing wines with both sweetness and a balancing acidity. Typically ice wines are made with riesling or vidal blanc grapes, although winemakers are now experimenting with cabernets and zinfandels. The lesser known vidal blanc grapes should be bracing and balanced, with citrus and floral notes. If you are interested in icewines, and are a reader of Bon Appetit, you can look forward to Natalie MacLean's article on the subject in the December 2006 issue. I was really taken with this wine, from the moment I popped the cork until the last drops were gone. The 2004 Jackson-Triggs Vidal Proprietors' Reserve was a beautiful, deep golden color. It has a silky, syrupy texture. The aromas are a little bit of heaven: honeysuckle, peaches, nectarines, and pineapple. I detected a slightly metallic smell at first, but this quickly dissipated. This wine was just as interesting and lively on the palate as it was in its aromas, with lemon peel, apple, brown sugar, and tropical fruits. It was sweet, yet refreshing and crisp, too. I drank it on its own, and it really did qualify as a dessert in a glass--not so much a wine to have with food, perhaps, as a wine to have instead of food. I can imagine a gleaming tray of icewine being served at a festive dinner in lieu of dessert. There is no doubt that an icewine is sweet--but a well made icewine like this one is held in balance with an equally impressive acidity. It was hard to stop after just one glass of this, whereas with most dessert wines one glass is all it takes for me. Some icewines cost more than $100 for a bottle, and at $21.99 the strong varietal characteristics of this Jackson-Triggs icewine lead me to say this is a wine with excellent QPR. Thanks to Kitchen Chick for suggesting such a great topic for WBW #27. 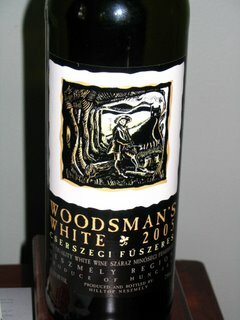 Last night I ventured into wine territory unknown, and opened up a bottle of the 2005 Hilltop Neszmely Woodsman's White (Trader Joe's, $3.99) from Hungary. What a find! In a recent post comment, Ruarri drew attention to the significance of wine regions, like Hungary, where wine has been grown for centuries but whose wine is relatively unknown here in the US. Most familiar in the US are the sweet Hungarian Tokaji dessert wines, but there is an intriguing variety of other varietals and wine styles in the region. Finding such wines can be hard, but it's never going to get any easier unless we walk into our local wine shops and say, "Hey, do you have any Chair-saggy Fooser-raish?" (You might want to write the name down before you leave your house in case the wine merchant wants you to spell it). Meanwhile, it's a good idea to scour the bottom shelves at places like Trader Joe's where all kinds of unusual varietals can lurk, or seek some out at online merchants. And then tell those merchants that you liked it (if you did) afterwards, so that they are encouraged to go out and find more. This wine had something of a split personality, but that could be an advantage in this case. It was pale straw in color and had the most amazing aromas: flowers, honey, apples, lemons, peaches all were noticeable and recognizable. I thought at this point the wine was likely to be sweet and perhaps even syrupy. But on the palate this wine was bone dry, with striking crisp and tart granny smith apple, mineral, and lemon peel flavors. The only note that I felt was missing was the clove you should get with this grape. But for the price, and given the varietal characteristics that it did show, I still feel that this was excellent QPR. What should you eat with your Woodsman's White? We had some grilled chicken apple sausages and potatoes with a salad because I wasn't sure how sweet this wine was and was being careful to pick something that would be fine regardless. And, these foods were indeed wonderful with the wine. But I think it would be great with traditional Hungarian chicken paprikas (June Meyer has a great recipe online for you to try) or other dishes that use sour cream like chicken stroganoff. It would also be good with asian stir-fries (nothing too spicy), or other food that is highly aromatic yet can handle a lean, unoaked wine. Mission Wines is doing it right. I had a great time at their weekly Saturday tasting. For just $10 you get five generous pours of a well-selected array of wines. And if you buy wine that day, the cost goes down to $5. Talk about excellent QPR! Saturday tastings run from 1 pm to 7 pm. When I walked in shortly after 2, it was standing room only. There are only 6 stools at the bar--this is a small shop that prizes service and selection, not a wine warehouse--but this wasn't stopping people from ordering up flights, tucking themselves around the tasting bar's corner to talk to Dave (who was manning the operation), or drifting through the stores with their glasses looking at the wine. Mission Wines has a great atmosphere during its tastings. It's a neighborhood hangout where both regulars and newcomers of all levels of expertise from novices through serious collectors come to talk and drink wine. On offer yesterday for the tasting were four wines under $20, and one under $30. While I do enjoy wine tastings that include sips of wine that are way out of my budget as a way to increase my knowledge this was great in a different way since theoretically everything I sipped I could conceivably purchase. The selection of wines was outstanding: 2 old world wines (a grenache and a gruner veltliner) and 3 new world wines (sauvignon blanc, pinot noir, and malbec). 2005 Tobiano Sauvignon Blanc ($11.99): This Chilean sauvignon blanc exhibited textbook flavors of gooseberry and granny smith apples. No oak was used, allowing the fresh fruit flavors to come through. Excellent QPR. 2005 Wienenger Gruner Veltliner "Leicht and Trocken" ($15.99): Pale, almost translucent in color with vaguely citrus aromas and a hint of both greenness and spice. On the palate, it was mostly citrusy, and I couldn't detect any of the pepper or lentil varietal characteristics for which this wine is known. A neutral wine, at the price I felt it represented good QPR. 2005 Bodegas y Vinedos del Jalon Calatayud Vina Alarba Old Vines Grenache ($8.99): An appealing, bright garnet wine with aromas of black fruit and spice. On the palate you did get a bit of the characteristic grenache dustiness and smoke, with less fruit than the aromas would suggest. A great example of an old world, old vine varietal I thought this wine had very good QPR. 2005 Sineann Pinot Noir Oregon ($29.99): I was excited to taste this wine, but found it a bit disappointing. This was a wine that smelled better than it tasted, with interesting forest and fruit aromas. Once sipped, I felt it didn't really hang together and there was an undertaste I couldn't identify. This may well be a wine that is too young to be drunk right now, but I don't have any experience with Sineann pinot noirs--if a reader does, please let us know if this is likely to settle down because the aromas were very promising. At the price, and as it is drinking now, I felt this wine represented good QPR. 2003 Alto Cedro Malbec ($16.99): A very dark, plummy wine with whiffs of peppery spice tucked into the fruit. There was an interesting dried herbal note--black tea? tobacco?--that made it an interesting wine to drink. It would be great with grilled meat. For the price, this was a very good QPR wine. Before I left I purchased a bottle of the 2005 Tobiano Sauvignon Blanc, which I felt represented the best QPR. All wines are available through Mission Wines, and the grenache and pinot noir look like they are widely available throughout the country. I know I'll be back to sample more great wines and to enjoy the welcoming atmosphere. Today I had a very specific wine goal in mind: buy the 2005 Owen Roe Abbot's Table to stick in the closet next to the 2004 Owen Roe Abbot's Table before it is sold out. Mission Wines in South Pasadena has a great selection of wonderful bottlings, including a wide range of Oregon wines so I headed over to South Pas to see what I could see. The place was hopping with standing room only at the tasting bar and three very knowledgeable and helpful clerks on the floor. I'm writing up my tasting notes in a separate post, which will be out later today or tomorrow. This is a small, neighborhood wine store with the added amenity of a tasting bar (serving both wine and Craftsman beer on draft) and it has a warm and welcoming atmosphere. Chris Meeske, the owner and manager, has been sommelier at Charlie Trotter's, Patina, and the Highland's Inn, so he knows what he is talking about as do his assistants Chris and David. But they aren't hoverers--they let you browse the aisles and are there to answer questions if need be. On to the wines. They have a wide range of bottles in the $10-$75 range, all carefully selected. You will find Flowers pinots, Owen Roe wines, Sineann wines, Core, Kilikanoon, and other favorites like Black Chook sparkling shiraz. You will also find excellent selections from France, Italy, and Spain. They have a clearly marked section of wines under $10 that included today selections from nearly every major wine region of the globe. So there's no excuse to be drinking the same old wine for budgetary reasons any more! As I said I was on the hunt for Oregon wines, and did indeed pick up the 2005 Owen Roe Abbot's Table ($26.99), a spectacular red blend that I like to put away for future holidays. 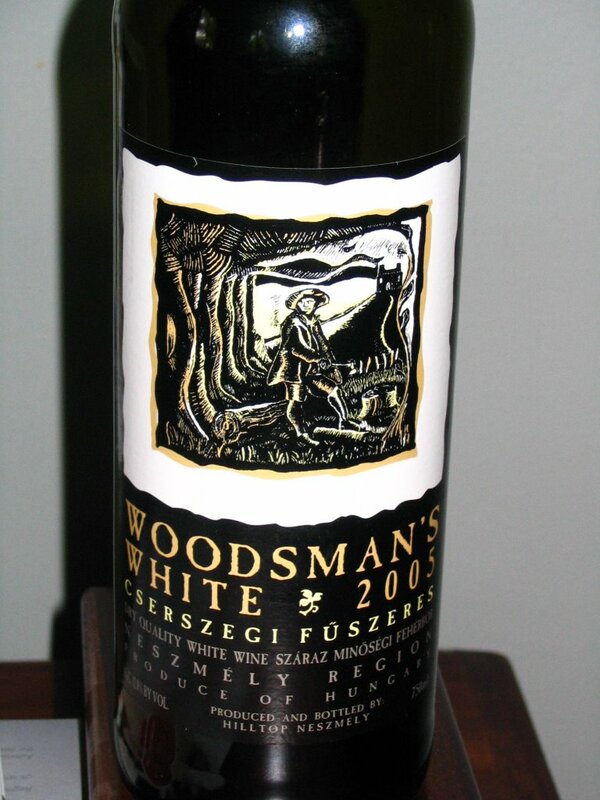 I also got a bottle of the 2005 Sineann Gewurztraminer Resonance Vineyard ($19.99). I've had their pinot gris and really enjoyed it, so wanted to try out this white. And, inspired by Tom Wark's breathtaking photos of Bucklin Ranch, I picked up another bottle of the best gewurztraminer I've ever had, the 2004 Bucklin Gewurztraminer Compagni Portis Vineyard ($17.99). It was hard to do, but I selected just one of Tom's photos to include here, but I urge you to click on his name to check out the rest as well as his other blog posts on Fermentation. I also bought a great wine from the tasting, which I'll write about there. Mission Wines has a small selection of wine accessories, like Riedel stemware (bought a Vinum Extreme ice wine glass for WBW #27 because I was feeling ridiculously splurgey), Screwpull openers, Vacu-Vin kits, and the all-important WineAway. They have an online ordering system at their website, as well as a newsletter that you can subscribe to. We all go to the wine super-stores sometimes, but a trip to Mission Wines reminds you of what you're missing: a first-class shopping experience, with knowledgeable staff, and a selection of wines made by people who are passionate about the grape. Not even the most ardent wine lover can learn all they need to know about wine simply from drinking it. The new 2006 edition of The Oxford Companion to Wine, edited by Jancis Robinson, is the resource to take your knowledge of wine to the next level, without taking a sip. The first page alone is an indication of the range of resources and wonderful riches you will find on all 813 pages. You learn about Spanish and Italian terms for medium sweet wines, the slogan ABC, a wine region on the Canary Islands, a rare French varietal, the Abruzzo, a hormone that regulates vine growth, and an Arab/Persian poet of the 9th century known for his verses on wine. And that's just the first page. All entries are arranged alphabetically, in classic encyclopedic style, which makes it easy to find whatever you are looking for. There is also excellent cross-referencing, so one entry leads to another and pretty soon half an hour has sped by! I was especially struck by how Robinson and her team of writers managed to balance out the very latest DNA research with a deep knowledge and appreciation for wine history. One of my favorite entries was "Fashion" that explained how wine tastes evolved through the centuries, from the Ancient Roman preference for sweet, old wine to today's vogue for what they referred to as wines with "physiological ripeness" and high alcohol levels. Geographically, though there is a definite focus on the classic wine regions, there are also references to wine-growing all around the globe. And yes, there is an article on wine-writing that mentions the influence of the web. You may not want to sit down and read the book from cover to cover--for one thing it's too heavy to hold for more than a few minutes!--but the writing is so clear and accessible that you could if you wanted to and had the arm strength. Most of us, though, will put it on the shelf and pull it off again and again to look up a varietal, find out exactly where Brouilly is, or actually come to grips with the chemistry of fermentation. With the holidays coming, this would make a great gift for wine lovers or something to buy yourself to help you recover from all the parties. Even though this is a book, it still is excellent QPR.